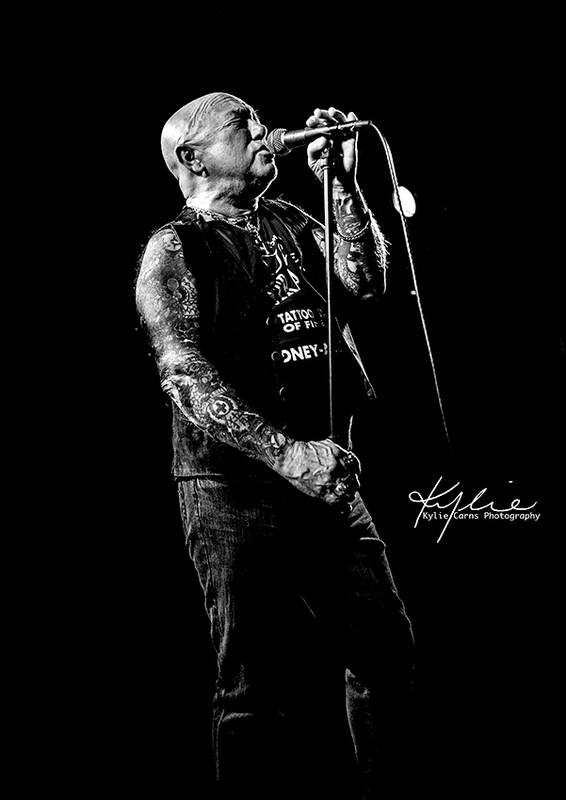 Rock legend, iconic front man of Rose Tattoo and all round good guy, Gary “Angry” Anderson grew up in very humble beginnings with his grandparents in suburban Melbourne. Being surrounded by music and influenced by his uncle’s musical taste, Anderson had no choice but to be fascinated by the blues from a very young age. But where did it all begin? When did Anderson know he was going to be a musician? And so it began; Anderson’s fascination for music. Moving to Pascoe Vale a few years later getting in to Coburg Technical College, he discovered the era of Rock N Roll. “Rock N Roll had arrived” recalls Anderson “I was 12 or 13 years old, going to Coburg Tech all boys school and there were two other nerdy kids that were both players and we all had this great love of music and it was very exciting times because it was those wonderful days of Rockabilly –when county music grew up so to speak and those wonderful blues influences came into play and there were all these amazing white guys singing and playing black people’s music or adapting it to what became rockabilly and rock n roll. So I was there! Johnny on the Spot!” Anderson laughs. Being influenced by the ‘best music ever recorded’, saw Anderson make a decision between the love of motorbikes and music. Knowing he always wanted to sing, especially the blues, saw Anderson decide that being Marlon Brando was not the direction he wanted to go back then, and joined a ‘proper’ band; The Cobweb or The Webs as they later changed to. This saw Anderson make a conscious decision to follow a career in music. Years later, Anderson reignited his passion for motorcycles but saying that, they were always one of the loves of his life. The greatest love however, was what his life become, and that was singing in a band. Starting Rose Tattoo saw many influences merge into their iconic style. Many people likened the Tatts in those early days to The Rolling Stones, which was accurate to a certain degree. Anderson’s favourite band and influence “The Faces” saw him bring that flavour and style to the band’s sounds but once again, a blues based rock n roll band. 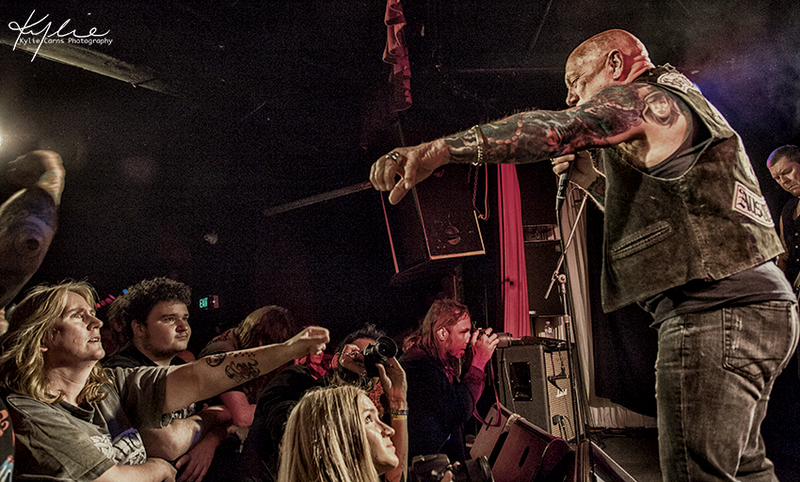 Naturally, Rose Tattoo has seen a change in line-ups over the years like most bands have seen with the same longevity in the industry. The current line up though, whilst different in musicality, the undertone still remains, and they have always stayed true to their roots. “Ive heard tapes of this band live, I have seen live footage, particularly from Europe over the last couple of tours, but the thing that excites me, is we still have the real raw thing that the early line up had and we will always have, no matter which line up.” Anderson said. Anderson choose this current line up cause he knew in his heart, giving them the chance, they could really perform. He would be so very proud of them living up to the legacy that is Rose Tattoo, but carry on with its own stamp whilst paying homage to the great original line up. Mark Evans and Anderson had known each other for years so was a natural progression for Evans to join the band. Anderson recalls meeting Bob Spencer when he was playing guitar in the band Finch, when Spencer was still in school. Reminiscing, Anderson mentions that Spencer would not have been more than 16 or 17 years old. Having a short list of people that he wants to play with at some stage in his life, Anderson found it easy to form the current line up. Spencer has left a mark on Anderson, even calling him an alien and not from this world, but Anderson knew that Spencer had to be apart of the current line up and it was a no brainer for him to join the crew. Needing a solid base behind them, Anderson knew that a great bass player and solid drummer were necessary to keep the foundation, and once you had this, any guitarist could ride on it and keep it up all night. So naturally Evans was an easy choice. He was one of the few that could actually step up and do the job. Then there is Dai Pritchard who Anderson calls the ‘Consummate Player’. Pritchard is one of the most articulate, but one of the most brutally honest guitar players that he has ever come across. Being with the band since 2007, Pritchard is definitely now part of the bands furniture and performs night after night, his superb slide guitar honouring the true Tatt’s sound. 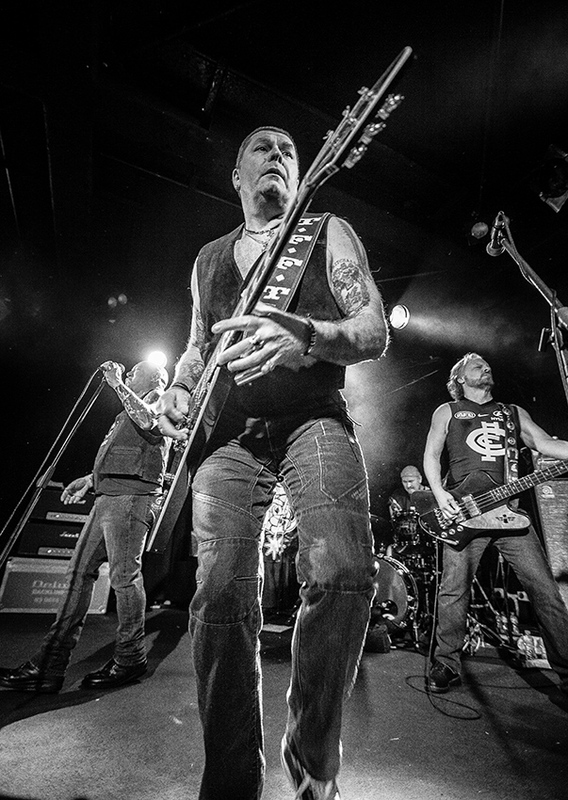 Touring heavily over the years, Rose Tattoo have performed at some of the biggest festivals and toured with many iconic artists over the decades. But it seemed bitter sweet. Gaining a huge following overseas, did see them concentrating on touring in Europe instead of their home country in Australia. Gary “Angry” Anderson (called Angry Ant from a seller in “exotics” and later shortened to Angry) is still a very humble artist. Recalling his life over the years and touring in their heyday compared to now, Anderson notes the difference now his is sobriety. The industry has changed, faces have changed, but the one thing that has sheltered him and protected him over these years, even in his darkest days of abuse has been his music. were produced by Tony Wilson & Vanda & Young. 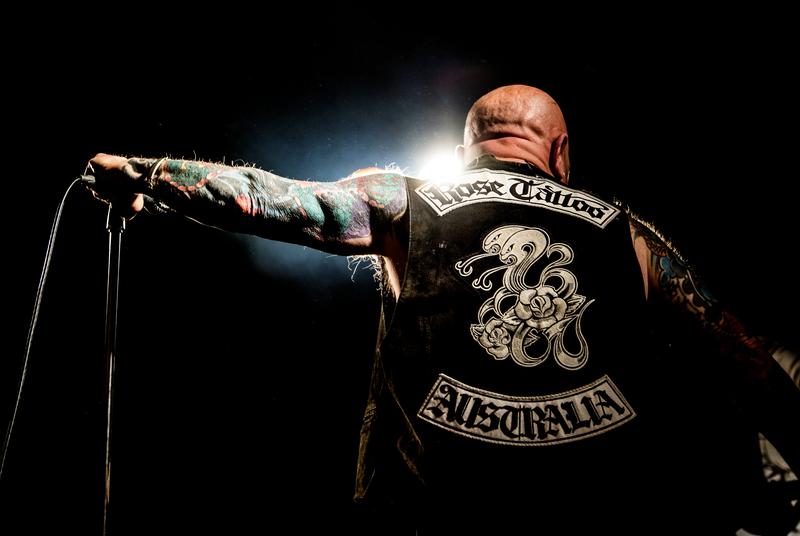 Now, 22 years on, Rose Tattoo are proud to announce their ‘Still Never To Loud’, tour heading out nationally in March, April and May with the hybrid blend of bubble-gum, metal, punk and psychedelia – Hard-Ons. Thirty-five years on, Hard-Ons have amassing an unprecedented and never-to-be-paralleled seventeen consecutive number one releases on the Australian alternative charts including, teaming up with Henry Rollins on a cover version of AC/DC’s massive hit, ‘Let There Be Rock’. Their cult followings extend into Europe and the UK, theindefatigable Hard-Ons present a wild, loud and action-packed live show! Strap yourself in for an explosive night of unadulterated rock and punk power pop to heighten the senses on the ‘Still Never Too Loud’ shows! 2019 is shaping up like 2018 when bad boy, Angry Anderson and his recruits extensively covered Europe, UK and Australia. 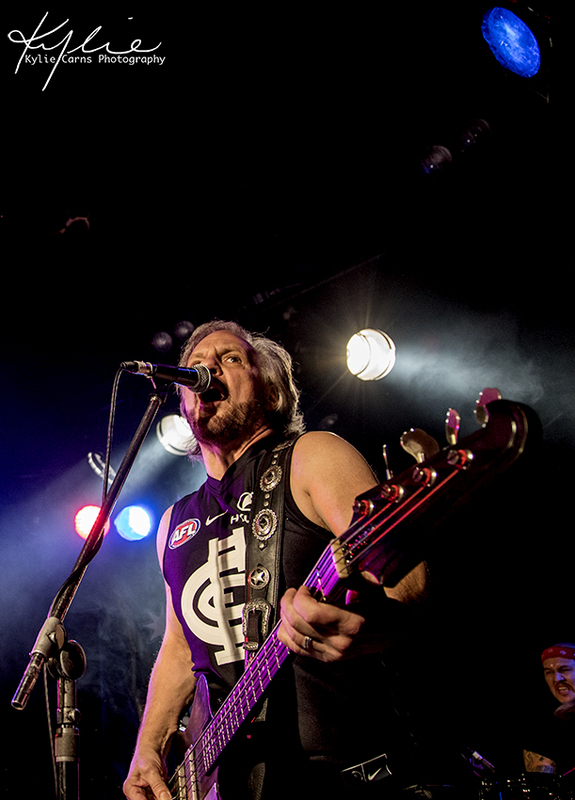 Considered some of the best in the business and comprising legendary bass player extraordinaire, Mark Evans of AC/DC fame, iconic guitarist Bob Spencer – The Angels & Skyhooks and, Pete Well’s endorsed, “unbelievably talented maestro of rock mayhem”, Dai Pritchard on slide, Rose Tattoo hit the high seas on the Monsters Of Rock Cruise out of Miami in late February, head straight into the recording studios in March, and kick off the ‘Still Never Too Loud’ run of dates.